My interests lie in the fields of computational chemistry, molecular biology and machine learning. In particular I am interested in the development of efficient algorithms for parallel computation of Classical, Quantum Mechanical and hybrid Quantum/Molecular Mechanical (QM/MM) techniques. I am also interested in the use of MM and QM/MM Molecular Dynamics algorithms for the determination of physical and chemical properties of protein based systems. I am currently working as part of the AMBER development team integrating new features into AMBER including being the principal developer of the world's fastest GPU accelerated Molecular Dynamics package (AMBER 14), a fast and feature rich modern QM/MM implementation, a Nudged Elastic Band (NEB) method for locating low energy reaction pathways in enzymes and RNA, improvements to the AMBER force fields for accurately modelling the structure of peptide linkages in proteins, a comprehensive all atom force field for simulation of lipid membranes and a new software module for performing automated multiple dimension parameter fitting to high level quantum data. My current research is directed towards developing new molecular dynamics techniques for studying protein reactivity and reaction pathways with the goal of furthering the understanding of such complex mechanistic processes in order to aid the development of new drugs and to improve current biofuel technologies. 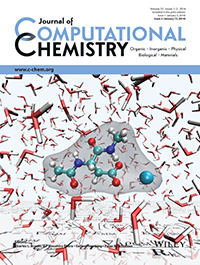 One of my recent publications was featured on the front cover of the January 2014 edition of the Journal of Computational Chemistry. Madej, B., Gould, I.R., Walker, R.C., "A Parameterization of Cholesterol for Mixed Lipid Bilayer Simulation within the Amber Lipid14 Force Field", J. Phys. Chem. B., 2015, in press. Case, D.A., Walker, R.C. et al. AMBER 14, 2014, University of California, San Francisco. Salomon-Ferrer, R., Goetz, A.W., Poole, D., Le Grand, S., Walker, R.C., "Routine microsecond molecular dynamics simulations with AMBER on GPUs. 2. Explicit Solvent Particle Mesh Ewald", J. Chem. Theory Comput., 2013, 9 (9), pp3878-3888, DOI: 10.1021/ct400314y (Full Text PDF, Supplemental Material PDF Supplemental Material Tar). Bastidas, A.C., Pierce, L.C., Walker, R.C., Johnson, D.A., Taylor, S.S., "Influence of N-Myristylation and Ligand Binding on the Flexibility of the Catalytic Subunit of Protein Kinase A", Biochemistry., 2013, 52 (37) pp6368-6379, DOI: 10.1021/bi400575k (Full Text PDF, Supplemental Material). an Established Computational Chemistry Software Package", IEEE SE-CSE 2013, San Francisco, USA. (Full Text PDF) Awarded best paper. Case, D.A., Walker, R.C. et al. AMBER 12, 2012, University of California, San Francisco. Case, D.A., Walker, R.C. et al. AMBER 11, 2010, University of California, San Francisco. Case, D.A., Walker, R.C. et al. AMBER 10, 2008, University of California, San Francisco. Case, D.A., Walker, R.C. et al. AMBER 9, (2006), University of California, San Francisco. Case, D.A., Crowley, M.F., Walker, R.C. et al. "Computer Modeling of Proteins and Nucleic Acids", Sci. Rep. of The Scripps Research Institute. 2005, 189-190. Case, D.A., Crowley, M.F., Walker, R.C. et al. "Computer Modeling of Proteins and Nucleic Acids", Sci. Rep. of The Scripps Research Institute. 2004, 182-184. Talks Presented 2015-07-13 International Supercomputing Conference, 2015, Frankfurt, Germany. "AMBER: The How, What and Why on an Intel Xeon Phi", Ross C. Walker, Intel Invited Speaker. 2015-06-30 Lawrence Livermore National Laboratory, Livermore, CA. "Lights, Computer, Action: GPU Accelerated Molecular Dynamics - From Enzyme Activation to Membrane Dynamics", Ross C. Walker, Invited Seminar Speaker. 2015-04-16 Bioinformatics in Torun, Recomb Satellite Conference 2015, Torun, Poland, "Lights, Computer, Action: GPU Accelerated MD, from Enzymes to Lipid Bilayers. ", Ross C. Walker, Plenary Speaker. 2014-08-12 248th American Chemical Society National Meeting, San Francisco, CA, "Amber lipid force field: Lipid14 and beyond"
2014-04-30 University of Kwazulu Natal, Durban, South Africa, "From GPUs to Lipid Self Assembly: State of the Art in Molecular Dynamics Simulations", Invited Speaker. 2014-04-04 International Conference of Computational Methods in Science and Engineering. "Fast and Reliable Ligand Binding Free Energies � Thermodynamic Integration on GPUs", Invited Speaker, Athens, Greece. 2014-03-26 NVIDIA Graphics Technology Conference. "Computing the Cure: Combining Sequencing and Physical Simulation on GPUs to Provide Patient Customized Cancer Treatments", Invited Speaker, San Jose, CA. 2014-02-19 U.S. Government Science & Technology Evaluation Panel - BioSciences Working Group. "Simulation and Modeling of Molecular Interactions", Invited to brief US Government Panel, Mitre Corp, McLean, VA.
2013-11-05 CUDA Teaching Center, SDSC "Molecular Dynamics and the GPU Revolution" / "Carbon Footprint of Molecular Dynamics Simulations", Keynote Speaker, Ross C. Walker, NVIDIA GPU Computing Event, SDSC, 5/6 Nov 2013. 2013-04-07 245th American Chemical Society Conference, New Orleans, LA, "Merits of Adaptive Multiscale QM/MM Approaches", Ross C. Walker, Andreas W. Goetz. 2013-03-05 NVIDIA Online Webinar, "AMBER and Kepler GPUs", Ross C. Walker, Invited Speaker. 2013-01-24 Invited Speaker, University of Bergen Seminar Series, Bergen Norway, "Identifying novel drug targets with advanced molecular dynamics simulations: Application to adenovirus proteases", Ross C. Walker, Invited Speaker. 2012-12-03 Zing Conference on Mathematical and Computational Medicine, "Elucidating enzyme activation pathways with advanced molecular dynamics simulations: Application to Adenovirus Protease", Ross C. Walker, Invited Speaker. 2012-07-26 Gordon Research Conference in Computational Chemistry, Mount Snow, VT, "Extreme acceleration of AMBER molecular dynamics: Sampling for the 99%", Ross C. Walker, Invited Speaker. 2012-07-17 XSEDE 12 Conference, Chicago, Il, "Transforming Molecular Biology through Extreme Acceleration of Molecular Dynamics", Ross C. Walker. 2012-07-12 Joint Charmm/Amber meeting, NIH, MD. "Extreme acceleration of AMBER molecular dynamics", Ross C. Walker, Invited Speaker. 2012-05-16 NVIDIA Graphics Technology Conference, San Jose, CA, "Moving Molecular Dynamics beyond the microsecond: Smart Sampling for the 99%", Ross C. Walker, Invited Speaker. 2012-05-04 NAIS - State of the Art Algorithms in Molecular Dynamics - Workshop, University of Edinburgh, Edinburgh, Scotland, "Transforming research in molecular biology through extreme acceleration of AMBER molecular dynamics simulations: Sampling for the 99%", Ross C. Walker, Plenary Speaker. 2010-08-24 240th American Chemical Society Meeting, Boston, MA, "Lipid10: A comprehensive phospholipid force field for AMBER. ", Ross C. Walker, Age Skjevik & Knut Teigen. 2008-08-20 236th American Chemical Society National Meeting, Philadelphia, PN, "Replica exchange QM/MM simulations of peptides in solution. ", Ross C. Walker, Adrian E. Roitberg and Gustavo de M. Seabra. 2008-04-21 University of Illinois at Urbana-Champaign, Beckman Institute Seminar, Invited Speaker, "Insights into the Activation Pathway of the Adenovirus Protease Enzyme using Nudged Elastic Band Simulations. ", Ross C. Walker. 2008-04-09 235th American Chemical Society National Meeting, New Orleans, VA, "Energetics of rearrangement of Family 1 carbohydrate-binding modules. ", Mark Nimlos, Michael Crowley, Ross C. Walker et al. 2008-04-07 235th American Chemical Society National Meeting, New Orleans, VA, "Evaluating the accuracy of semi-empirical QM/MM methods using replica exchange and AMBER 10: Phi/Psi free energy calculations of peptides in solution. ", Ross C. Walker, Gustavo de M. Seabra and Adrian Roitberg. 2008-04-07 235th American Chemical Society National Meeting, New Orleans, VA, "Recent progress in MD simulations of the CBH I cellulase from T. Reesei bound to cellulose microfibrils. ", John W. Brady, Ross C. Walker, et al. 2008-04-06 235th American Chemical Society National Meeting, New Orleans, VA, "Novel QM/MM investigations of enzyme catalysis. ", Mark Williamson, Ian R. Gould, David R Klug and Ross C Walker. 2008-03-31 Wright Patterson Air Force Base, Dayton, OH, Invited Speaker, "An overview of the AMBER Molecular Dynamics Software Suite: Capabilities, Performance and Example Calculations. ", Ross C. Walker. 2006-07-18 SDSC Summer Institute 2006, La Jolla CA - Taking Your Science to the Next Level: On the Path to Petascale Computing - "Single Processor Code Optimization for the Datastar (Power 4) Architecture"
2005-12-07 SDSC Inverted Speaker, La Jolla CA - "The Implementation of a Fast and Efficient Hybrid QM/MM Potential Method within the AMBER 9.0 Sander Module." 2005-10-28 AMBER Developers Meeting 2005, Salt Lake City UT - "QMMM Support in Amber 9"
2005-09-21 Zymeworks Inc Invited Speaker, Vancouver BC - "Improvements to the Amber Force Field via the use of the Simplex Method for Multiple-Dimensional Parameter Fitting." 2004-11-08 La Jolla Interfaces in Science Joint Group Meeting, La Jolla, CA (McCammon, Brooks & Case) - "Refinements of the Amber Force Field via the use of Multi-Dimensional Parameter Fitting." 2004-10-24 AMBER Developers Meeting 2004, Stony Brook NY - "Improving the Support for QMMM in Amber 9 - What's New." 2003-04-19 Imperial College London, Invited Speaker - "Lights, Computer, Action: Probing Protein Dynamics with QM/MM Techniques and Femtosecond Laser Spectroscopy." 2003-03-13 Theoretical Computing Group Meeting, Kings College London UK - "Probing Protein Dynamics: Simulating Femtosecond Spectroscopy Results"
2002-11-29 Young Modellers Forum 2002, Royal Institution, London UK (Prize Winner) - "Lights, Computer, Action: Probing Protein Dynamics with QM/MM Techniques." 2002-11-07 The Scripps Research Institute, La Jolla CA, Invited Speaker - "Lights, Computer, Action: Probing Protein Dynamics with QM/MM Techniques." 2002-11-02 Accelrys Inc, La Jolla CA, Invited Speaker - "Lights, Computer, Action: Probing Protein Dynamics with QM/MM Techniques." Posters Presented Munshi, A., Ferraro, M., Madej, B., Walker, R.C. - "A Comparison of Membrane Molecular Dynamics with Amber and Gromacs: Towards Fast Drug Permeability Simulations", XSEDE 2015 Conference, St. Louis, MI, July 2015. Benjamin D. Madej, Callum J. Dickson, Age A. Skjevik, Robin M. Betz, Knut Teigen, Ian R. Gould, Ross C. Walker - "Lipid14: The Amber Lipid force field. ", 248th American Chemical Society National Meeting, San Francisco, CA, Aug 2014. Benjamin D. Madej, Callum J. Dickson, Age A. Skjevik, Robin M. Betz, Knut Teigen, Ian R. Gould, Ross C. Walker - "The Amber lipid force field: Lipid14, self assembly and beyond", Gordon Research Conference on Computational Chemistry, Mount Snow, VT, Jul 2014. Andreas W. Goetz, Ross C. Walker - "GPU accelerated classical and ab initio (adaptive) QM/MM molecular dynamics with Amber", S2I2 Tensor Group Workshop, Laguna Beach, CA., Dec 2013. Ross C. Walker - "Extreme acceleration of molecular dynamics simulations: Sampling for the 99%", Current Challenges in Computing Conference: Biomedical Research, Napa, CA, Sept 2013. Ross C. Walker - "Fast and Reliable Ligand Binding Free Energies - Thermodynamic Integration on GPUs", Gordon Research Conference on Computer Aided Drug Design, Mount Snow Resort, Vermont, USA, Jul 2013. Alessandra Nurisso, Ross C. Walker, Nils Oberhauser, Veronique Martel-Frachet, Ahchene Boumendjel, Pierre-Alain Carrupt - "In silico investigations of a new flavonoid derivative as a potential tubulin inhibitor targeting bladder carcinoma", Gordon Research Conference on Computer Aided Drug Design, Mount Snow Resort, Vermont, USA, Jul 2013. Aditi Munshi, Ross C. Walker - "Improving the accessibility of two factor authentication for the visually impaired: OCR with a Raspberry pi", XSEDE 2013 Conference, San Diego, CA, Jul 2013. Romelia Salomon-Ferrer, Ross C. Walker - "Access to Millisecond Timescale Events with Accelerated Molecular Dynamics and GPU Technology", Computational Biology Then and Now, Weizmann Institute of Science, Israel, May 2013. Ben Madej, Callum J. Dickson, Ian R. Gould and Ross C. Walker - "A modular amber lipid force field for the simulation of complex membranes and membrane bound proteins", 245th American Chemical Society Meeting, New Orleans, LA, Apr 2013. Ben Madej, Ross C. Walker - "Molecular Dynamics with a GPU Turbocharger: Delving Deeper into Drug Development Science. ", NVIDIA Graphics Technology Conference, San Jose, CA, Mar 2013. Matthew A. Clark, Andreas W. Goetz, Ross C. Walker - "An extensible interface for ab initio QM/MM molecular dynamics simulations with Amber", XSEDE 2012 Conference, Chicago, IL. Benjamin Madej, Ross C. Walker - "GPU Accelerated Molecular Dynamics Enabling Transformative Drug Development", NVIDIA Graphics Technology Conference, San Jose, CA, May 2012. Ross C. Walker - "Comprehensive Sustained Innovation in Acceleration of Molecular Dynamics Simulation and Analysis on Graphics Processing Units", NSF Building Communities for Software Infrastructure for Sustained Innovation Workshop, NSF headquarters, Arlington, VA, Oct 2011. Andreas W. Goetz, Rosa, E. Bulo, Ross C. Walker - "Adaptive Solvent QM/MM MD with AMBER. ", Gordon Research Conference on Computational Chemistry, Les Diablerets, Switzerland, Aug 2010. Parastou Sadatmousavi, Ross C. Walker, "Calculating Activation Pathways of Adenovirus Protease Enzymes using the AMBER Molecular Dynamics Package on TeraGrid Resources", TeraGrid 2010, Pittsburgh, PN, Aug 2010. Mark J. Williamson, Andreas W. Goetz, Michael K. Garrahan, Eric H. Knoll, Charles L. Brooks III, Ross C. Walker, Michael F. Crowley, "Developing improved MD and QMMM codes for modeling enzymes essential to biomass liquid fuel production", SciDAC 2010, Oak Ridge, TN. Jul 2010. Parastou Sadatmousavi, Mark J. Williamson, Dong Xu, Mark R. Nimlos, Michael F. Crowley, Michael E. Himmel & Ross C. Walker, "Recent Advances in Understanding the Mechanism of Action of the Catalytic Binding Module of CBH I Cellulase through Advanced MD Simulations", 239th American Chemical Society National Meeting, San Francisco, CA, Mar 2010. Michael F. Crowley, Mark J. Williamson, Ross C. Walker et al. - "Cellobiohydrolase Processivity: Improved enzymes for bioethanol", SciDAC 2009, San Diego, CA, Jun 2009. Michael F. Crowley, Mark J. Williamson, Ross C. Walker - "CHAMBER A CHARMM Format Convertor to Enable the use of CHARMM Force Fields in AMBER", 49th Sanibel Symposium, St. Simon's Island, GA, Feb 2009. Ross C. Walker, Mark R. Nimlos, Michael F. Crowley, John W. Brady, James F. Matthews, Linghao Zhong, Michael E. Himmel - "Recent advances in understanding the mechanism of action of CBH I cellulase through advanced MD simulations. ", 235th American Chemical Society National Meeting, New Orleans, LA, Apr 2008. Gustavo D.M. Seabra, Ross C. Walker, Adrian E. Roitberg - "Evaluation of different quantum mechanics methods applied to biological molecules: Potential and free energy surfaces of alanine and glycine dipeptides in vacuum and in water. ", American Chemical Society National Meeting, Boston, MA, Aug 2007. 07/2015 - Workshop: "NSCCS AMBER Molecular Dynamics European Workshop 2015", Imperial College, London, UK. 05/2015-06/2015 - UCSD Chemistry & Biochemistry Lecture Course: Chem 113/213 "Physical Chemistry of Biological Macromolecules"
05/2013-06/2013 - UCSD Physics Lecture Course: Phys 244 "Parallel Computation" - Focus on GPU Programming. 04/2015 - Workshop: "AMBER Molecular Dynamics Workshop 2015", Technion Institute, Haifa, Israel. 12/2014 - NBCR Workshop: "NBCR AMBER Workshop 2014", University of California San Diego, La Jolla, CA, USA. 06/2014 - Workshop: "Molecular Dynamics with the AMBER Software", Institute for Research in Biomedicine and the Barcelona Supercomputer Center, Barcelona, Spain. 04/2014 - UCSD Chemistry & Biochemistry Lecture Course: Chem 113/213 "Physical Chemistry of Biological Macromolecules"
10/2013 - Workshop: "Introduction to modern Molecular Dynamics Simulations using the AMBER Software", Centro Nacional de Processamento de Alto Desempenho em Pernambuco - CENAPAD-PE Recife, Brazil. 04/2013-05/2013 - UCSD Chemistry & Biochemistry Lecture Course: Chem 113/213 "Physical Chemistry of Biological Macromolecules"
08/2011 - Workshop: �Molecular Dynamics Summer School�, East China Normal University, Shanghai, China. 05/2011 - Workshop: �Introductory Workshop to Molecular Dynamics Simulation using the AMBER software package.�, Barcelona Supercomputer Center, Barcelona, Spain. 04/2010 � Workshop: "An Introduction to Molecular Dynamics Simulations using AMBER. ", Heinrich-Heine-Universit�t D�sseldorf, Germany. 02/2010 �Workshop: �Introductory and Advanced Molecular Dynamics Simulations using AMBER�, Sultan Qaboos University, Muscat, Oman. 08/2009 - Workshop: "An introduction to Molecular Dynamics Simulations using CHARMM, AMBER and the MMTSB Toolset. ", NIH funded Center for Theorectical BioPhysics workshop, La Jolla, CA. 07/2009 - UC Course: "UC Merced Summer 2009 Computational Biology Course", UC Graduate Course, San Diego Supercomputer Center, University of California, San Diego, La Jolla, CA. 04/2009 - Workshop: "Modelling protein-carbohydrate recognition in-silico. ", BBSRC & NGS sponsored Workshop, University of Westminster, London, UK. 07/2008 - Workshop: "Advanced workshop on AMBER Molecular Dynamics Simulations." EPSRC National Service for Computational Chemistry Software, Imperial College London, UK. 07/2008 - Workshop: "Introductory workshop on AMBER Molecular Dynamics Simulations." EPSRC National Service for Computational Chemistry Software, Imperial College London. 06/2008 - Workshop: "Advanced workshop on AMBER Molecular Dynamics Simulations." University of Bergen, Norway. 05/2008 - UCSD Physics 244, Parallel Computation - "Introduction to Parallel Processing in Molecular Dynamics", UCSD Graduate course. 01/2008 - "Advanced Simulation Using AMBER", Mitre Corp., McLean, VA, USA. 06/2007 - SDSC Summer Institute "Lies, Damn Lies, Statistics and FLOPS: Optimizing for performance on modern supercomputers." San Diego Supercomputer Center, University of California, San Diego. 05/2007 - "Molecular Dynamics Simulations for Beginners", University of Bergen, Norway. 04/2007 - SDSC Summer student SAC program "Single Processor Optimization", San Diego Supercomputer Center, University of California, San Diego. 06/2006 - SDSC Summer Institute "Single Processor Optimization for the Power 4 Architecture." San Diego Supercomputer Center, University of California, San Diego. 06/2006 - Workshop: "Advanced workshop on AMBER Molecular Dynamics Simulations." Imperial College London, London, UK. 06/2005 - Workshop: "Biomolecular Simulations using Amber, VMD and the MMTSB toolset." Pittsburgh Supercomputer Center, PA, USA. 09/2004 - Workshop: "An introduction to Molecular Dynamics using AMBER. ", Imperial College London, London, UK. Invited host. 05/2013 GPU Computing Symposium and Workshop, UCSD CUDA Teaching Center and NVIDIA joint hosted symposium and workshop on GPU computing. San Diego Supercomputer Center. Ross C. Walker [CUDA Teaching Center Director]. 03/2009 237th American Chemical Society National Meeting, Salt Lake City, Utah. "Connecting Computation to Experiment using Combined QM and MM Methods", Ross C. Walker & Brent P. Krueger. 03/2009 237th American Chemical Society National Meeting, Salt Lake City, Utah. "Advancing Computational Chemistry through High-Performance Computing: From the Workstation to Petascale and Beyond: Michael Dewar Memorial Symposium", Ross C. Walker, Thomas E. Cheatham III. & Shawn Brown. 11/2008 Supercomputing 2008, Austin, TX - Birds of a Feather Session: "Requiring Open Source in Federal Grants. ", Ross C. Walker & Laxmikant Kale. Benchmarks - Here are some timings for Amber7, Amber6 and Gaussian on different machines. with an Asus GeForce3 Deluxe Card? - Total Cost for conversion = 45.00GBP. 1) "Howto get Quad Buffered OpenGL stereo in a window support on a non Quad Buffered Stereo Graphics Card (Nvidia GeForce Chipset) - Asus GeForce3 Deluxe"
2) "Howto build a convertor to make Stereographics Crystal Eyes shuttered stereo glasses work with Nvidia GeForce3 cards"